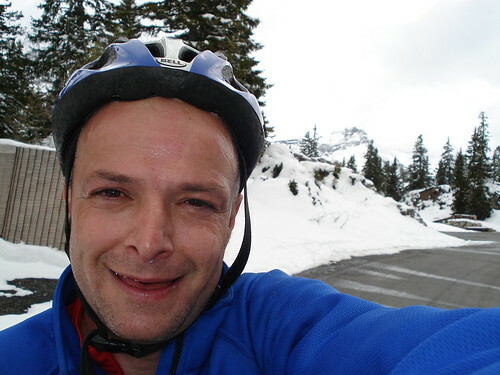 A Riddle: When you are cycling up a 10% slope, its freezing, and it starts to snow, why are hairpin turns good? Answer: At least some of the time the 25 km wind will be at your back. 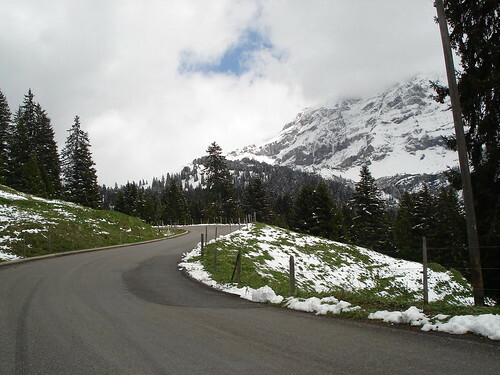 Col de la Croix is high above but links Villars and Diablerets Ski resorts in the Swiss Vaudoise Alps. It’s an absolutley beautiful route especially up high, although lower down there is a bit of traffic. Despite being a fairly high col it is dwarfed by extremely high peaks. You can ski at over 3,000 metres (10,000 feet) here. It’s steep at the start, at the end, and in the middle, but between that there are a few easier parts. I can’t believe it is June and it is this cold. It was cold at the bottom so unlike Wednesday’s climb, I knew climbing over 1,300 metres (+4,300 feet) would require warm clothing and I was prepared. 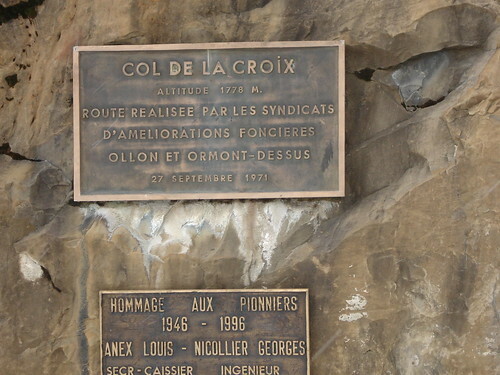 I thought the Col was at 1,700 metres but it is actually 1,778 so I was a little extra exhausted when I reached the top. This photo is really making me laugh. I really tried to smile but I was knackered and cold … and it is hard to be cold when you have just climbed for almost 2 hours. But a fantastic ride. I LOVE this picture — on the attachment you sent me, it’s almost life-size!!! Very funny and what a brave ride. Chapeau!